Content personalization is one of the best ways to increase your eCommerce conversion rates. In fact, marketers report an average of 20% increase in sales when implementing it for their site. Today 52% of marketers view content personalization as a key strategy for success so it’s something you should be paying attention as well. In this post we’re going to cover the main type of content personalizing and we’ll guide you on how to implement it for your site. Almost 74% of website visitors say that they feel frustrated when they are presented with irrelevant content they don’t care about. Online customers want you to know what they are interested in. They want to you offer them what they need the moment they visit your site. Navigational personalization – this personalization is based on the behavior that brought people to your site as well as their on-site behavior. That’s why it works even for first time visitors. You can personalize based on referral traffic (ads, search, social, etc.). For example: you can personalize the content based on the keywords that brought them to your site. You can also use navigation personalization which means based on the pages that people visit and keywords they use in your site search engine you can predict what they would be interested in. For returning visitors this kind of personalization becomes even easier. Cookies are used to track his past behavior and you can show your visitors even more personalized messages. For example: when you go to the homepage of Amazon you usually see recommendation offers for products you have browsed before. Amazon will also show you new products based on topics you have searched before and what’s trending right now. In this case: the site knows I’m interested into marketing, sales, conversion optimization and it’s recommending me new books on these topics. Also, when you go to a product page you will see recommendation for other products that are brought together with this one. 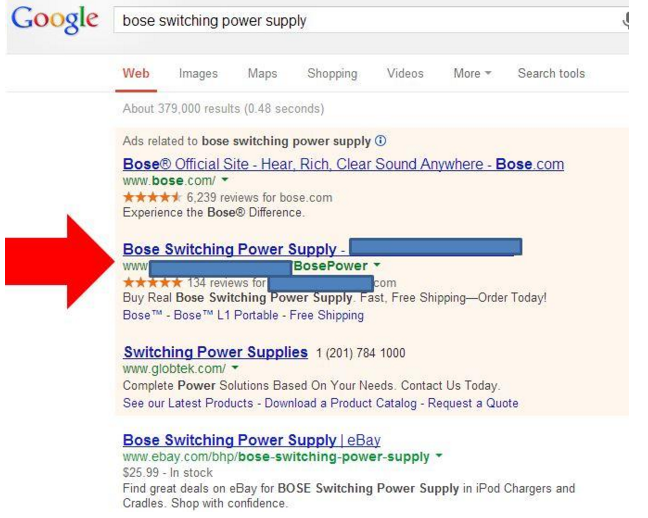 Contextual messaging – you’re probably familiar with Dynamic keyword insertion in Adwords. With it you can automatically change the copy of your ads based on the search terms people are using. As a result you tend to increase your CTR. You can do the same on your website by personalizing the messaging on your site based on the search terms they used in Google or in your site search. Here “Nike shoes” could be replaced with any other meaningful keyword to make the shopping experience more personalized for your visitors. Geo-location messaging – you can personalize your content on your eCommerce site also based on the location of your customers. A lot of the times people living in different places have different needs. This is even truer when you’re selling internationally. You can use geo-location messaging to display to the user if you ship this item to his location and how much is the shipping cost. Amazon is doing this very well. At the end you don’t want to make the customer angry by making him want to buy a product he can’t receive on his location. Personalized exit-intent popups – most visitors won’t buy on their first visit. That’s why it’s smarter to convert them into at least email subscribers. That way you can nurture them and convert them to customers at a later stage. The single best way to convert visitors into email subscribers before they abandon your site is with exit-intent popups. They have much higher conversion rates on an average than other opt-in offers. The food blogger Nikki McGonigal noticed that her popups generate 1375% more subscribers than her side bar. At the same time exit-intent popups are your last chance to convert your visitors before they leave your site. You can personalize your offers in your popup by using page-level targeting. That way you can offer a discount voucher for the current product or category of products your visitors are viewing. Tools for content personalization – the tools that you use for on-site content personalization will greatly depend based on your goals and your budget. For on-site content personalization you can use Nosto and Product Personalization. Navigational personalization – personalizing shopping experience even for first time visitors based on referral traffic and on-site behavior. Most people believe that content personalization is only on your website or app but that’s not really the case. Once people leave you use retargeting to bring them back and convert them into customers. You can retarget people on Facebook, Adwords and third-party sites showing them banners ads. Facebook retargeting – to set up a retargeting ad on Facebook straight away from the platform by using a pixel which you can place on your site. To do that go to Power Editor -> Audiences. To read the full article on Mofluid click here!